I love this photo of my Dad, Charles Brodhead, and his brother Woody (his only sibling) way out in the distance, fishing Lake Mohawk (Sussex Co., NJ), in 1929. He was eight and his brother was 17; it’s fun to see them enjoying some brother time together. They had quite an age gap between them, and because of that and the fact that Woody was away from home at a boarding school for much of the year, they did not have many opportunities to do things together. For my dad and his family, Lake Mohawk was their little oasis for R&R whenever they could get away from their main home in the city (Elizabeth, NJ). His parents sold the house while my Dad was off in the Pacific during WWII, something he learned about only after returning home. Needless to say, he was very upset, but he went on to buy his own little lakefront house there as soon as he was able. For him, Lake Mohawk and the surrounding countryside held so many great memories, he wanted that magic to continue. And I can’t say that I blame him. It’s a lovely spot. 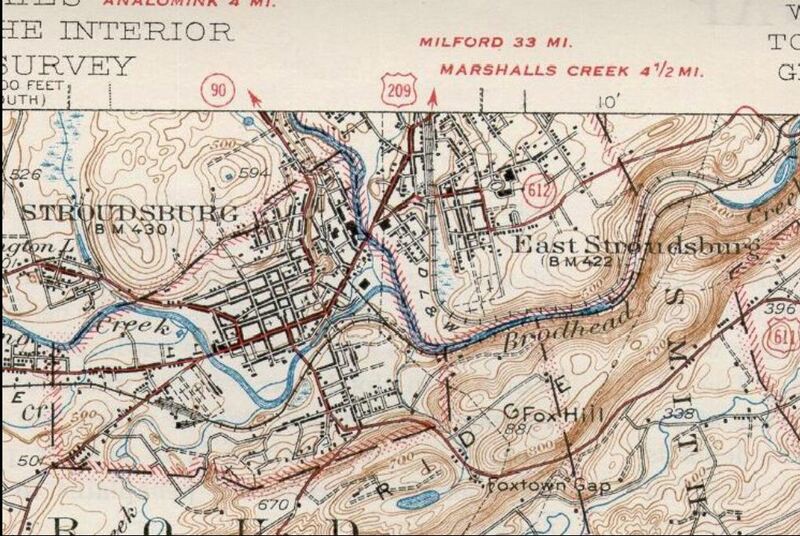 This past June I did a post on an 1891 Brodhead hunting expedition in Blooming Grove Park, Pike Co., Pennsylvania (and a subsequent follow-up). 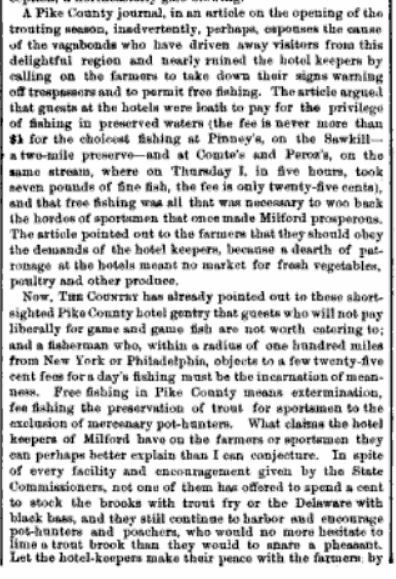 I just realized, while leafing through the December 17, 1870, Harper’s Weekly newspaper that contained the great scenes from Blooming Grove, that I failed to include in my post the accompanying article about this private 12,000-plus-acre hunting and fishing club. So, I will include it here now. It’s interesting (and good) to see how even back then, conservation was on people’s minds. You have to wonder what may have happened to all that land had it not fallen under the club’s protection. 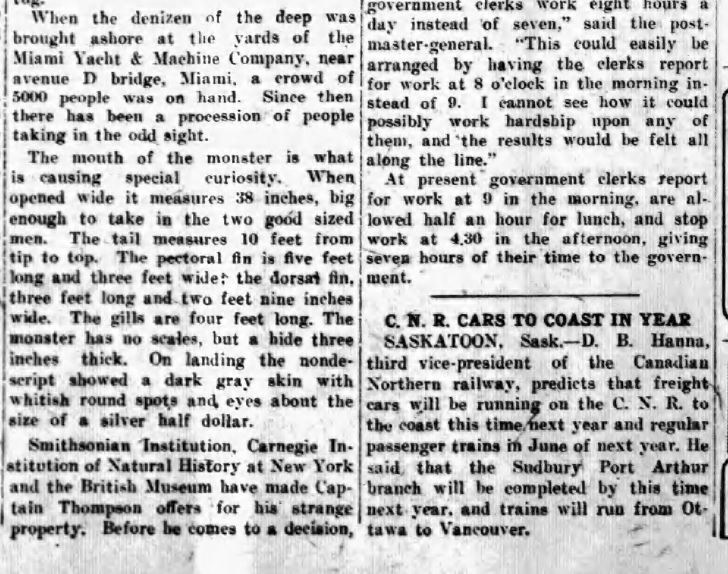 As for the article, I had to chuckle when I read that the train took “only” 4.5 hrs to get to Blooming Grove from NYC, a distance of some 87 miles that is described as being one of the Park’s great advantages, which indeed it was at that time—and still is today. While Blooming Grove is still private/members-only, that part of Pennsylvania offers many other areas that are freely accessible to outdoors-lovers. We are still hoping to get up there next summer for some trout fishing and family-history-hunting expeditions. 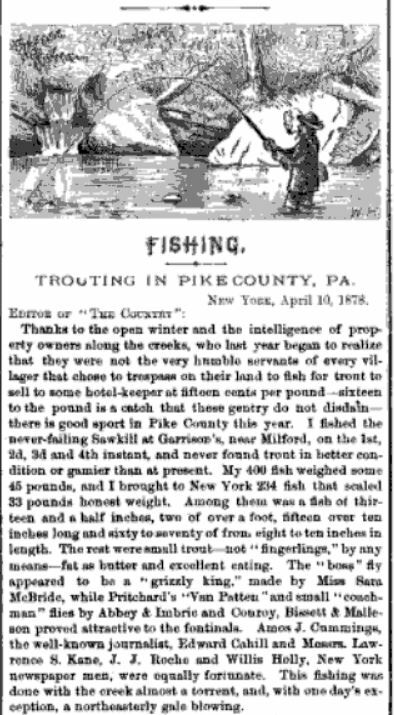 I don’t know what the fishing is like today in Pike County, PA, but here is an 1877 article from The Country, Vol I & II describing the experiences of one visitor to that area from April 1-4, 1877. 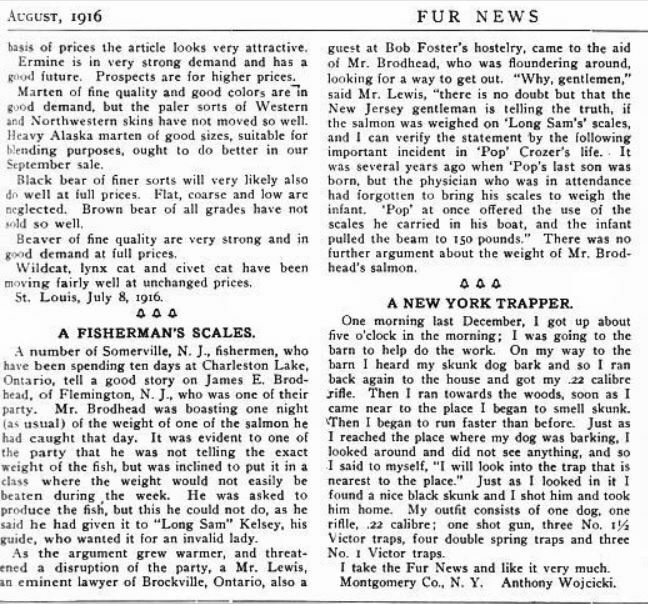 During those 4 days, this visitor caught 400 fish weighing 45 pounds and brought back to New York 234 fish that “scaled 33 pounds honest weight.” Roughly 88 of them were between 8 – 13.5 inches in length; the other 150 or so, he said, were small trout, but not “fingerlings” — “fat as butter and excellent eating.” Obviously these were the days before any limits were introduced! Today he’d be able to walk away with just 5 trout per day, and each would have to be at least 7 inches long. I love the great outdoors and that includes “escaping mentally” to the great outdoors of yesteryear to imagine what things must have been like in a certain location at a certain point in time. If you’re like me, and you enjoy fishing, perhaps you will find this article of interest too. 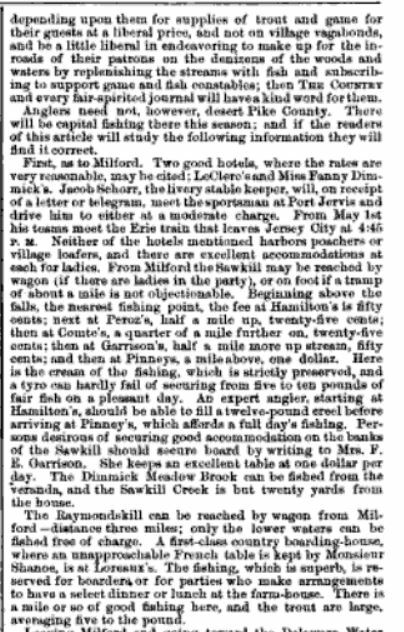 Present-day fishermen and women in Pike Co., feel free to comment about your experiences fishing in that part of PA. 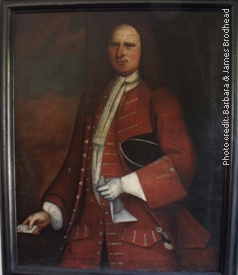 When Daniel Brodhead and his family settled in Pennsylvania’s Minisink Valley in the late 1730s, that area was a vast expanse of wilderness, a true frontier. Hunting and fishing was done for survival. As time went on and villages and towns emerged, stores cropped up where one could buy fresh game and produce, but by and large the common man, and definitely the poor man, fed his family by his own hand—through the use of plow, knife, trap, or gun. 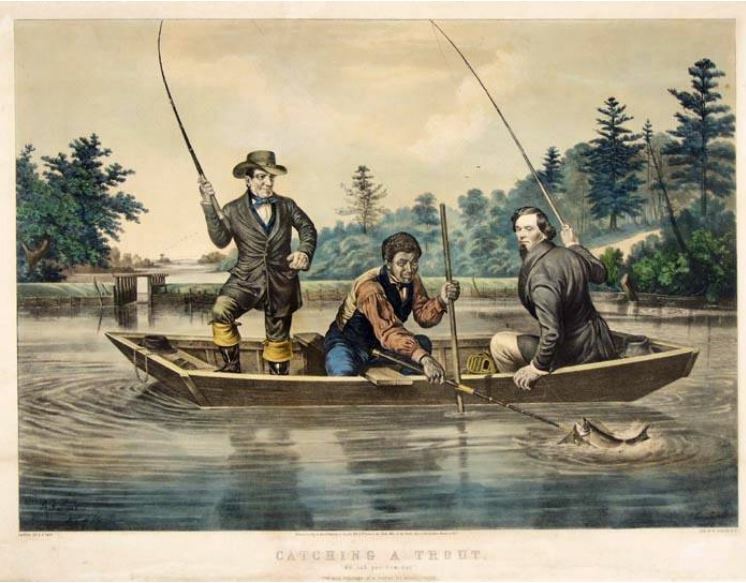 But by the 19th century, and especially in the second half of that century, the upper classes, wanting to “re-create pioneer values and to approach nature through wildlife,”1 developed a burgeoning interest in field sports. 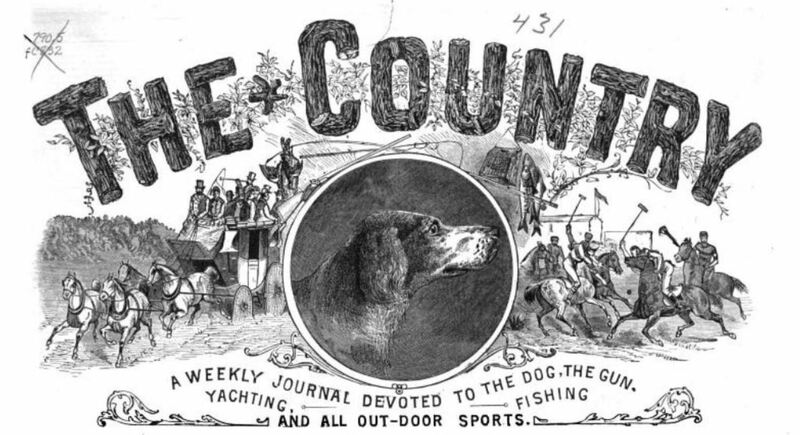 In answer to this demand, entrepreneurs and others caught up in this trend cobbled together fairly massive parcels of land to establish private hunting and fishing clubs which they hoped would rival the great game parks of Europe that served as private parks for the nobility2, and “by 1878, about 25,000 Americans belonged to 600 of these clubs. Among the leaders was the Blooming Grove Park Association.”3 “Blooming Grove Park,” established in Pike County, Pennsylvania (the county to the north of Monroe County, home of settler Daniel Brodhead’s town of “Dansbury”–a.k.a. 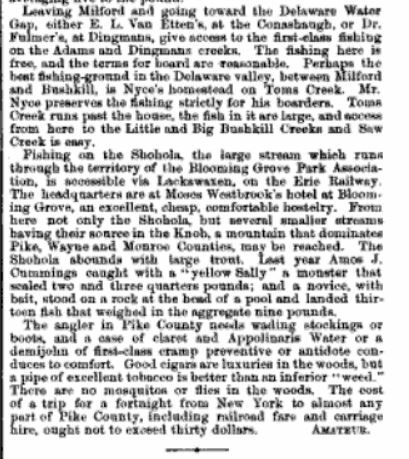 East Stroudsburg), in 1870 by the Blooming Grove Park Association, was (and still is) an exclusive hunting and fishing club that has expanded far beyond its initial borders. 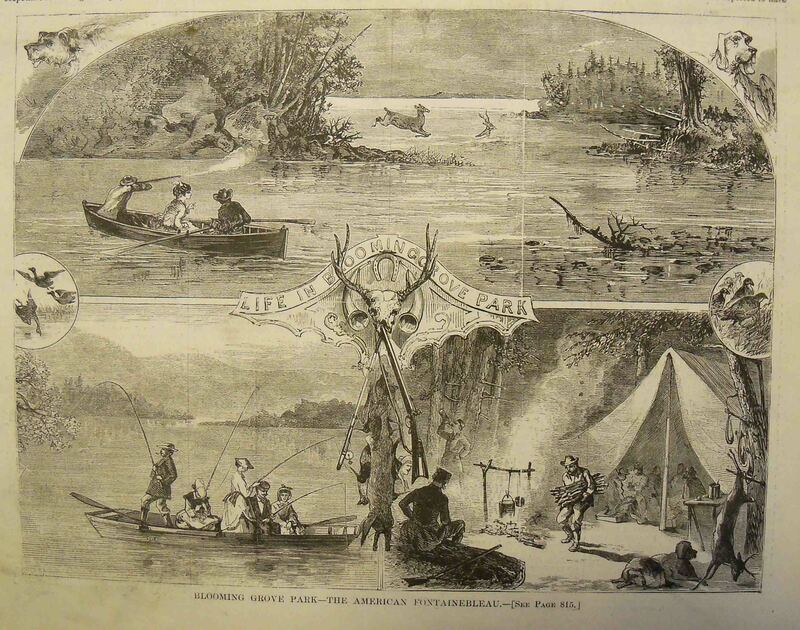 Initially some 14,000 acres in size, encompassing vast tracts of land, lakes, and trout streams, the members-only Park attracted well-heeled outdoors-people throughout the year—men and women, as the above etching shows. Many were wealthy New Yorkers, searching for supreme experiences in the great outdoors. To cater to their need to keep their fingers on the pulse of the nation’s stock market, the club eventually stretched wire all over the park4 so that interested members could check on their business interests at any time during their nature jaunts. Not surprisingly, the Park was initially very poorly received by locals who had happily hunted these territories for generations before abruptly being shut out by those of wealth and power5. When established, the Association was granted the right of ‘self-determination’ by the Pennsylvania General Assembly, whereby it was able to establish and enforce its own game laws as well as propagate fish and game for an improved ‘visitor experience’. The Association later became officially known as the Blooming Grove Hunting and Fishing Club, and it remains to this day a very private and exclusive organization. Over time, the public in general came to appreciate the conservation work done on the Club’s lands much of which had been decimated before 1870 by excessive logging. And today, with development accelerating beyond the Club’s borders, the Club’s lands remain safe and protected with little prospect of that changing. 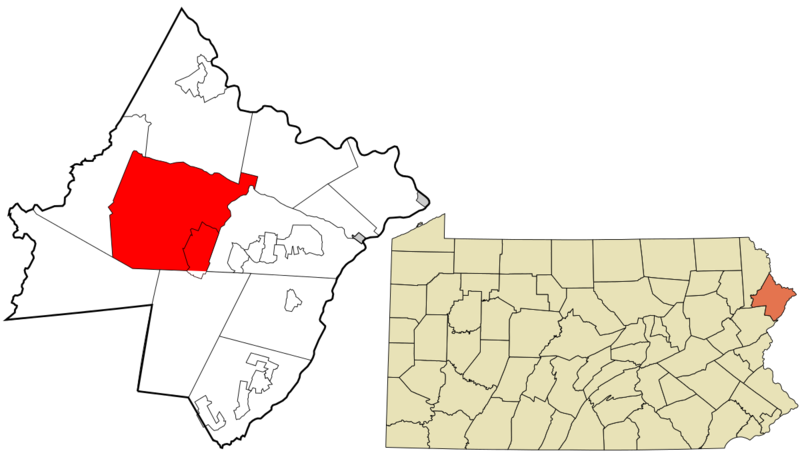 According to the “Blooming Grove Township Comprehensive Plan” produced by Community Planning & Management, LLC, in May 2008, which includes a map of the Club’s lands: “Blooming Grove Township holds less potential for development than many of the other municipalities in Pike County and the Pocono Mountains.” So that’s definitely good news from a conservation standpoint. Several months ago, a bit after I finally ‘discovered’ some traces of Abram Coolbaugh Brodhead, my second great grandfather’s brother, and while digging through some search results on the Fulton History website, I came upon an article in the Port Jervis, NY, Evening Gazette, entitled “Home of the Bear and the Deer. What a ‘Gazette’ Man Saw in the Hunting Section of Pike County, PA.” The article is dated November 30, 1891, and it was a fun find because it mentions a hunting party that included both my second great grandfather—Andrew Jackson Brodhead—AND his little brother Abram. Andrew would have been 69 at the time, and Abram 67. And it was even more fun because it described them as “famous sportsmen”: At Blooming Grove, “Moses Westbrook’s”, we found a notable party of hunters, some of whom have followed the hounds in the wilds of Pike for 40 consecutive years. Among them were the famous sportsmen, “Abe” C. Brodhead of Lehighton, Pa., Andrew J. Brodhead and George T. Gray, of Flemington, N.J., W. F. Brodhead of Packerton, Pa., and U. S. Grant Tobias of Mauch Chunk, Pa. They were hourly expecting John C. Westbrook, of Milford, and Captain ” Lafe” Westbrook, of Stroudsburg, the great deer slayers of Pike for the past 40 years, it being a fact that they have to their credit the slaying of over 600 deer during that time. It would be unfair not to mention their brother “Mose” in this connection who, although having no record to exhibit, has without doubt killed nearly as many as his brothers. Other members of the hunting party included “George T. Gray, of Flemington, N.J., W. F. Brodhead of Packerton, Pa., and U. S. Grant Tobias of Mauch Chunk, Pa.” Who were these men? 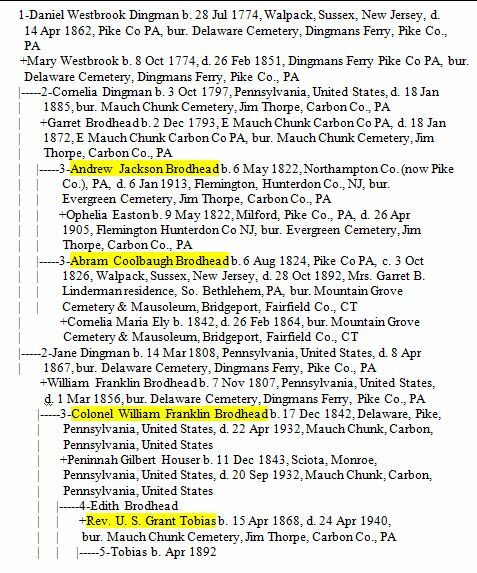 Well, I figured out that W. F. Brodhead referred to Colonel William Franklin Brodhead (1842-1932), a cousin of the Brodhead brothers via the Dingman side of the family. 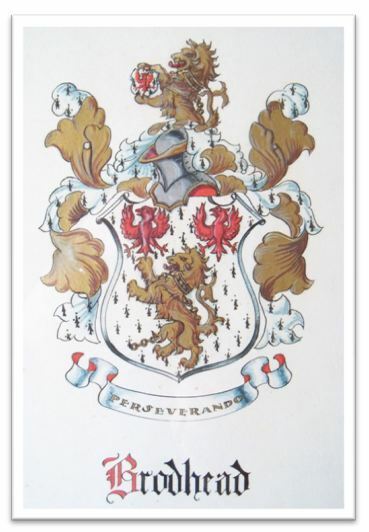 William’s mother Jane Dingman was the younger sister of Andrew and Abram’s mother Cornelia Dingman. Jane and Cornelia both married into the Brodhead family. (See the greatly condensed family tree inset for a visual.) 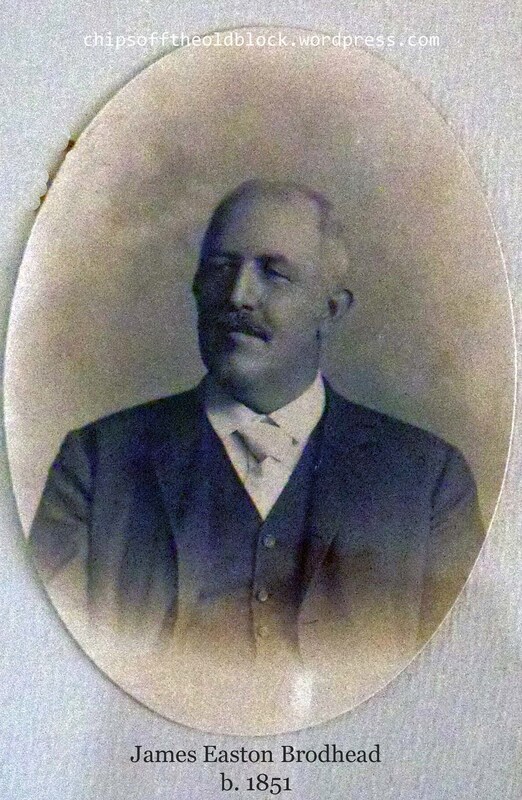 U.S. Grant Tobias (1868-1940), a clergyman, was William’s son-in-law of just six months. Grant married William’s daughter Edith on May 5, 1891 at the family’s Packerton, PA, home8. 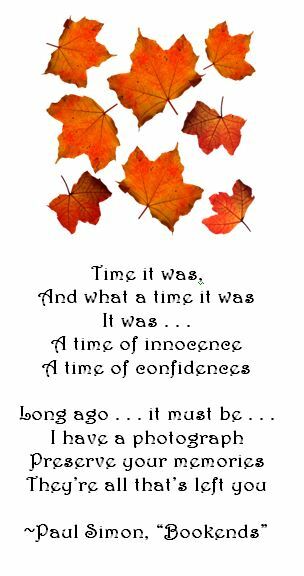 In November 1891, William would have been 49, and Grant9—23. I think George T. Gray must have been a friend of Andrew Jackson Brodhead’s as both men were visiting from Flemington, NJ. I found George and his wife Rachel Ann Cherry in a Runkle family genealogy book10(see clipping inset and end note below). If I have the correct George (and I think I do), he was 66 at the time of this hunting trip. 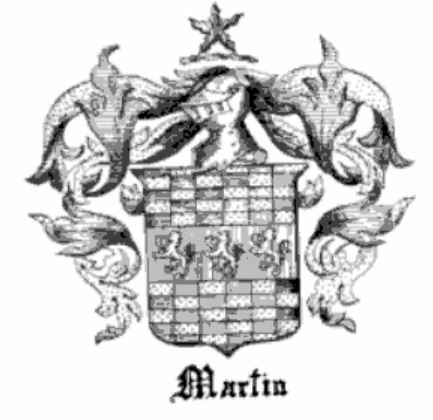 At first I thought perhaps they were all members of the Blooming Grove Park Association, but when I discovered it was the exclusive preserve of the wealthy, I decided that was unlikely since as far as I know, my second great grandfather, dad to 10 children, was not a wealthy man. Brother Abram, long-time widower and father of one, had been the superintendent of the Lehigh Stove Foundry, and during the Cleveland administration, had held a lucrative position in the Philadelphia mint. Perhaps, he had the means. Then I looked into what was meant by “Moses Westbrook’s,” and came upon a mention of this location in The Country, Vol. 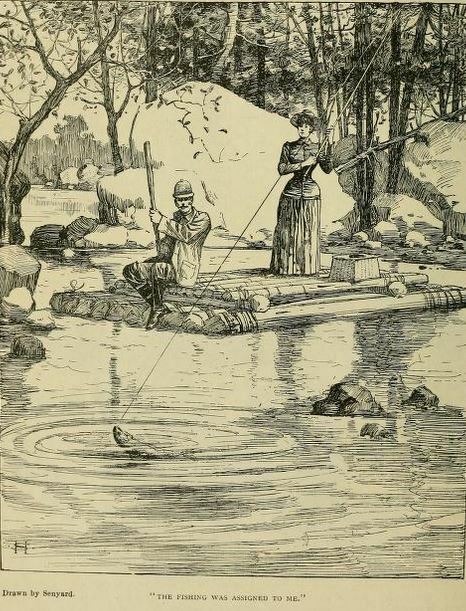 1-2 (published in 1877; page 369): “Fishing on the Shohola, the large stream which runs through the territory of the Blooming Grove Park Association, is accessible via Lackawaxen, on the Erie Railway. The headquarters are at Moses Westbrook’s hotel at Blooming Grove, an excellent, cheap, comfortable hostelry…” By 1891, the hotel may have had a makeover, but obviously it was still standing, and providing lodging to this hunting party. Whether they were heading to the Association’s lands or other lands within Pike County, once they met up with John C. Westbrook and Captain ”Lafe” Westbrook, I don’t know. But, given the fact that the former had deeded 13,000 acres for the establishment of Blooming Grove Park, it seems likely that he would have been a member there. Well, I will close now and leave you with the Evening Gazette article in the event you want to read it in its entirety. For those “scanners” among you, I have highlighted the names of our Brodheads and their friends. When the reporter left Blooming Grove, [the group was] following five deer. No matter what the day’s results were or where exactly their adventures took place, I hope they all enjoyed their time together in the great outdoors. Many Noted Hunters at Present in That Country Searching for the Big Game. Plenty of Deer but Not Many Captured, as Yet—A Brief Mention of Several of the Many Excellent Hunters Homes. The hunting season of Pike County, Pa., is now at its best, and in all parts of that vast area of wilderness, barrens and swamps lying between the famous valley road and the Paupack country, the birds the deer and the bears are on the alert to escape the death dealing shots of the wily hunters and the keen scent of their swift footed and well trained dogs. When the law is “on” protecting the game, this vast country is nearly as silent as the grave, and the intense quiet is only broken by the occasional sound of the woodman’s axe. On a recent drive through this section, the writer found many famous hunters at the various “Hunters Homes.” At Sheriff Hoffman’s hospitable home on Sawkill Lake, five miles out from Milford, on the Milford and Owego turnpike, the Hawes Brothers, of Central Valley, NY, men noted in the Adirondacks and in the Maine forests for their skill as hunters, were in full possession and with the Sheriff and his sons were making it lively for the deer and were capturing many birds. We are informed that they took home with them two four-pronged bucks. Mrs. Hoffman, by the way, we found very ill but the honors of the home were excellently carried out by her daughter. The jolly Sheriff laments the fact that he has not this year his usual number of dogs, by death and other causes his kennel is now reduced to sixteen. At Shohola Falls a party of gentlemen from Nyack, NY, who had been guests of Garry Hart, the owner of the famous Shohola Falls and the adjacent country, had just left and had taken away with them six deer. These gentlemen were assisted in their hunting by the noted Greening Brothers who know every runway and hiding place for deer in that whole country. In this connection we wish to take the liberty of mentioning that Mr. and Mrs. Hart caught the largest trout that were taken in Pike county this season. They caught in the Rattlesnake creek and in the Shohola, in the “Meadows,” seven trout none of which weighed less than 2 ½ pounds and one weighed a trifle over 6 pounds. Mrs. Hart enjoys the reputation of being one of the most expert anglers of that section. Illustration for index page of The Country, Vol 1 & 2, published 1877; find it on Google Books (free) — the index is extensive and there is good reading to be had here. 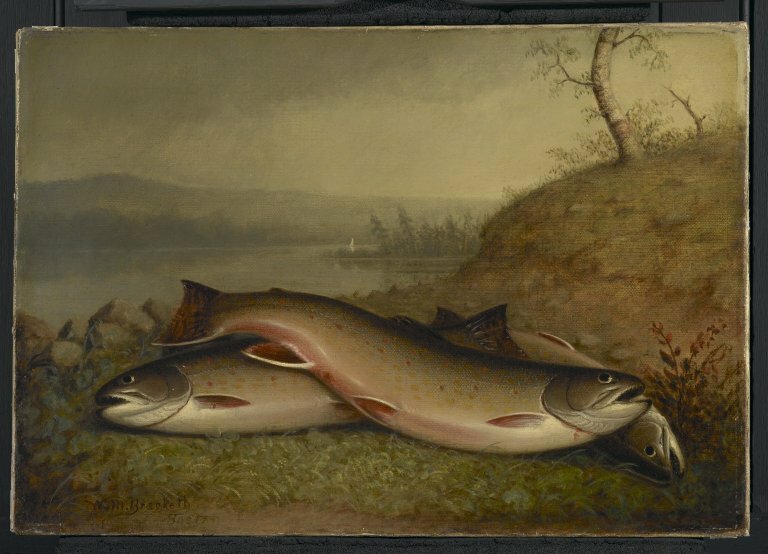 The 19th-century American passion for the great outdoors is on display! At Blooming Grove, “Moses Westbrook’s”, we found a notable party of hunters, some of whom have followed the hounds in the wilds of Pike for 40 consecutive years. Among them were the famous sportsmen, “Abe” C. Brodhead of Lehighton, Pa., Andrew J. Brodhead and George T. Gray, of Flemington, N.J., W. F. Brodhead of Packerton, Pa., and U. S. Grant Tobias of Mauch Chunk, Pa. They were hourly expecting John C. Westbrook, of Milford, and Captain “Lafe” Westbrook, of Stroudsburg, the great deer slayers of Pike for the past 40 years, it being a fact that they have to their credit the slaying of over 600 deer during that time. It would be unfair not to mention their brother “Mose” in this connection who, although having no record to exhibit, has without doubt killed nearly as many as his brothers. When the writer left Blooming Grove the party first mentioned were following five deer and we have no doubt that they captured the greater part of them. Over on the Paupack there were a number of hunters at “Jack” Kimbles and at Marcus Killam’s and all were having fairly good luck. Marcus Killam, now considerably advanced in years, is another of the famous deer hunters of Pike, having killed over 400 deer in the past 60 years. At Dimon’s, also on the Paupack, a number of hunters were gathered. These gentlemen were under the guidance of the noted local guide and deer hunter Henry Quick, and had already started up several deer but, unfortunately, had not been able to get a shot at them. Among the hunters in the Paupack country was a young divine, Rev. 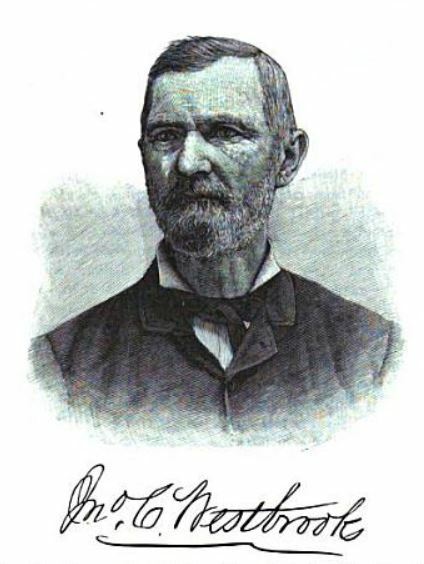 F. T. Angevene, of Sharon, Conn. 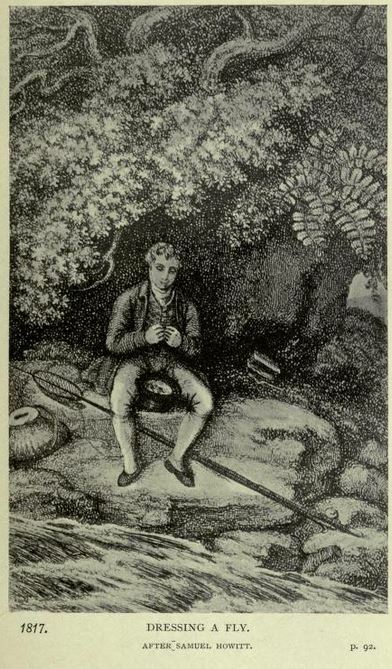 The young clergyman is an ardent sportsman and an excellent shot; although he did miss two deer when out with “Eph” Kimble, of Kimbles, and we do not doubt that he took away with him more game than any other man of the party. 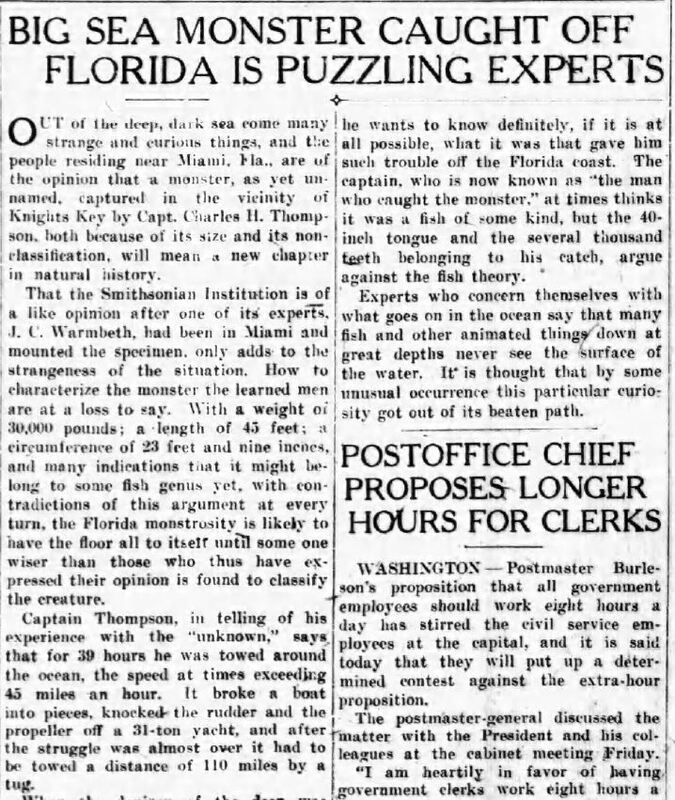 The cause of his missing the deer was a peculiar condition of the atmosphere just at sunset and he was not able to correctly estimate distances. 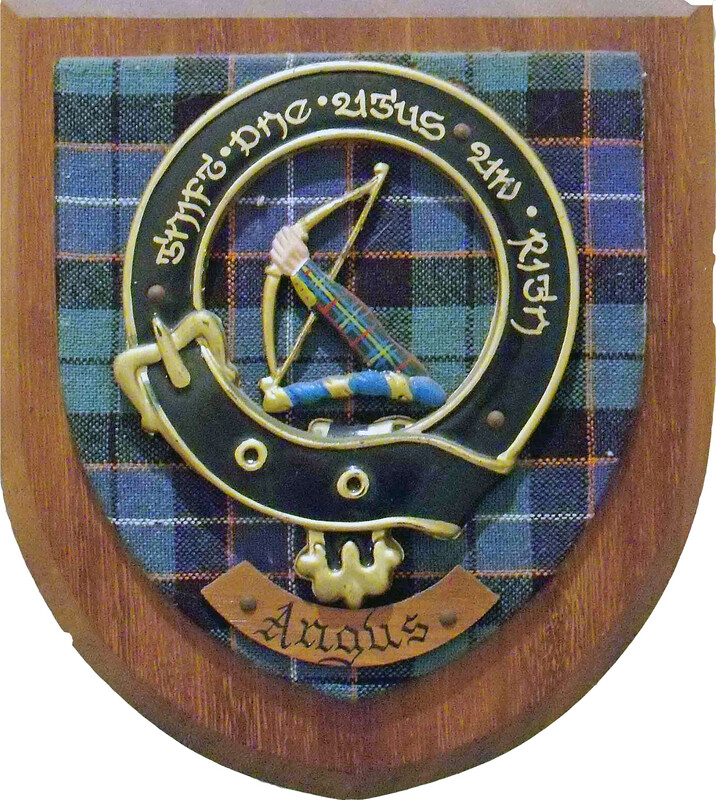 “Sim” Lord, at Lord’s Valley, has also captured several deer but as he was out following a deer the day that we were in his section we did not see him and consequently are not able to mention the hunters that have been making their headquarters at his very hospitable home. We, however, did see his brother Jury Commissioner, Levi Lord, and he stated that game was comparatively plenty at Lord’s Valley and vicinity and the hunters were having excellent sport. [this part was cut off] …but, for some reason explainable only by those who stood on the runways, none of them were stopped. 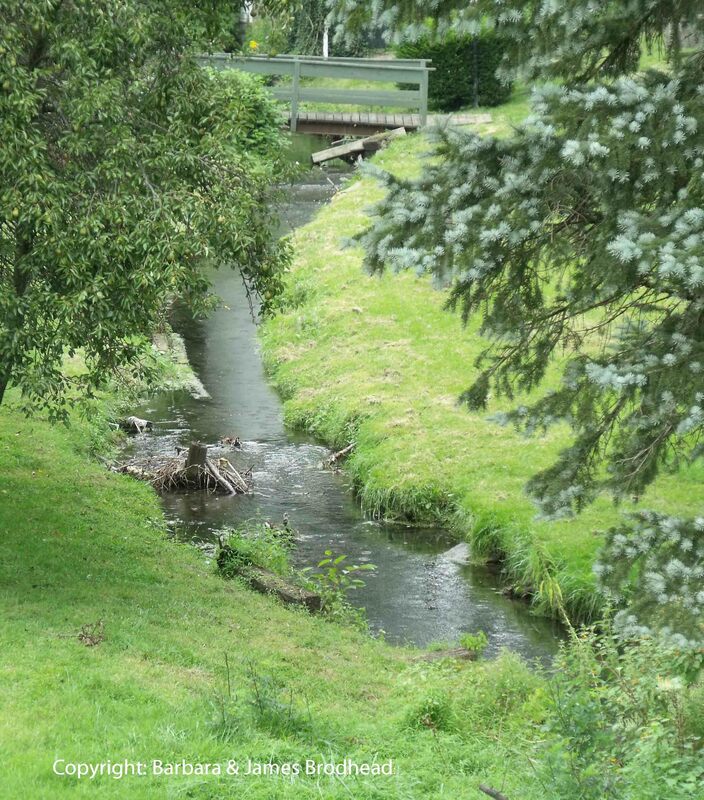 This home is on the head waters of the Rattlesnake creek in the heart of a famous bear, deer, bird and trout section. The great black bear brought to Port Jervis last February, the skin of which was purchased by Counsellor John W. Lyon, of this village, was shot by Dr. Kelly within three quarters of a mile of his residence. Mrs. Kelly, by the way, is an expert shot and on the day of our visit killed a pheasant, or rather ruffed grouse, that will entitle her to take the first premium this year. The bird weighed a trifle over three pounds and was the largest of his species that we had ever seen. Space will not allow us at this time to mention the bear hunting in Greene township and at the “Knob” and we will rely on our correspondents to give the interesting bear stories to our readers later on. 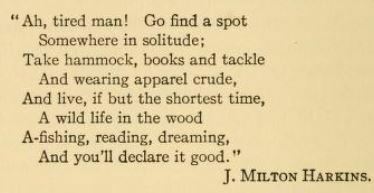 9 – Carbon Advocate, Volume 20, Number 22, Saturday, April 9, 1892: In A Few Words. We congratulate our popular young friend Grant Tobias, of the County Seat, over the arrival of a bright little son in his family. We hope the little fellow may have a long life and abundant prosperity, while at the same time we feel like closing digits with granddad Brodhead, at Packerton. Just a quick post to share a little article “A Fisherman’s Scales” which I came across online and found rather funny. It’s from Fur-Fish-Game Volumes 23-24 (A. R. Harding Publishing Company, 1 January 1916) and gives a bit of a glimpse into the life of my great-grandfather A. D. Brodhead’s brother James Easton Brodhead who lived in that grand house in Flemington, NJ, and about whom I wrote in a past post. I imagine that once this little piece was published, his siblings (those still alive at that point) and children gave him a bit of a razz. James would have been about 68 at the time, and likely went on to catch many more fish. He was child number four of A. J. Brodhead and Ophelia Easton‘s ten children but he outlived all of them, dying on 10 November 1943 at the ripe old age of 92. 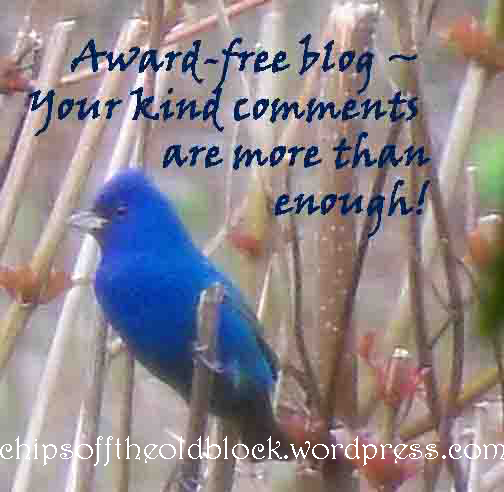 Enjoy the fish story and feel free to share one of your own in the comment box below! Source: Nicholas A. Tonelli (Wikimedia Commons: This file is licensed under the Creative Commons Attribution 2.0 Generic license. 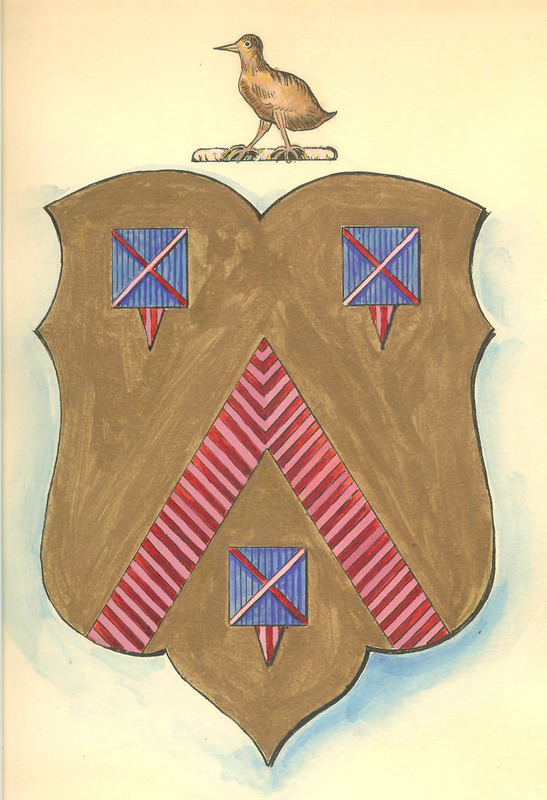 Those of us descended from Daniel Brodhead and Hester Wyngart, who uprooted themselves and their children from Esopus, NY (present-day Kingston) to relocate to the wilds of Eastern Pennsylvania’s Minisink Valley in 1738*, can feel fairly confident that they (Daniel — a man of great energy and intrepidity**, Hester, and “crew”) and their myriad descendants in this picturesque area spent time fishing—whether for the purpose of catching dinner or for the pure enjoyment of the sport. Numerous creeks, brooks, and rivers are found in fair abundance here, in what is now Monroe County. 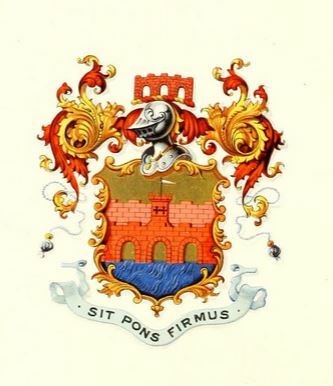 Daniel’s vast estate (composed of an initial warrant of 600 acres and a later warrant of 150 acres, according to Mrs. Horace G. Walters’ Early History of East Stroudsburg, p. 21-22) was known locally as “Brodhead Manor” and gave birth to the settlement of Dansbury (better known today as the town of East Stroudsburg)**. The 21.9-mile creek that passed through Daniel’s property on its way to the Delaware came to be known as Brodhead Creek. Having just recently done posts on the Hon. Richard Brodhead and his daughter and son-in-law (Rachael and John Linderman), I can easily imagine them fishing and otherwise enjoying a well-earned day of rest there on ‘the Brodhead.’ And can’t you just see Daniel and Hester’s sons Richard, Charles, Daniel, Garret (my 5th great grandfather), John, and Luke enjoying some friendly, brotherly creek-side competition when they were boys? On eBay and other sites that sell and/or display antique and vintage postcards, you can sometimes come across old images of Brodhead Creek (sometimes referred to as “Broadhead’s Creek”). The oldest image I found dates back to 1796. It is an etching by John Scoles from a drawing by Jacob Hoffman. If you’d like to view it, you can do so by clicking here and visiting the Granger Collection website. I would display the image for you here, but their usage rules prohibit that. 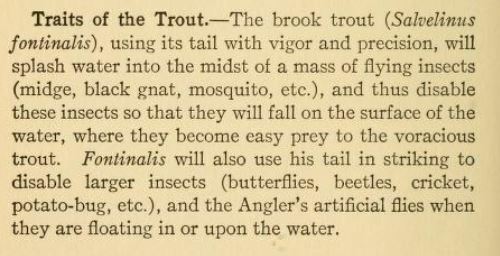 I found mention of the Brodhead in the 1906 book The Determined Angler and the Brook Trout: An Anthological Volume of Trout Fishing, Trout Histories, Trout Lore, Trout Resorts, and Trout Tackle by Charles Bradford, and thought I would share a relevant chapter here with you today. 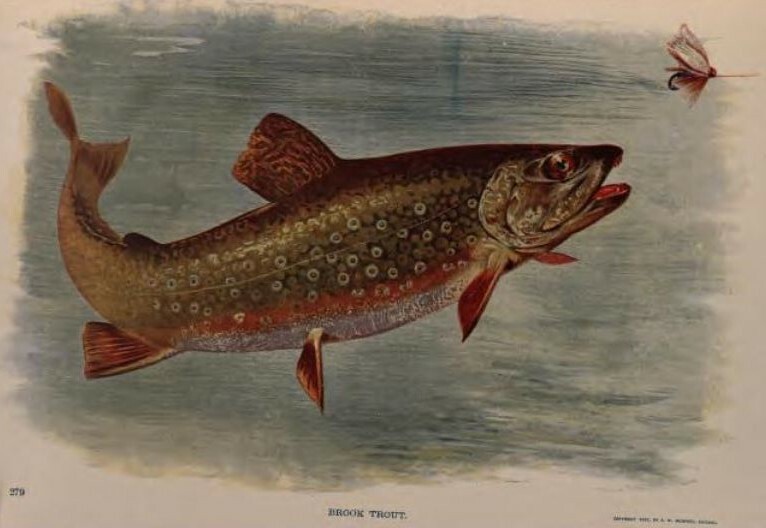 So I hope you will enjoy Chapter IX, “Trout and Trouting” of The Determined Angler and the Brook Trout. Chapter X (“Trouting in Canadensis Valley”) has references to Brodhead Creek as well, so be sure to click on the link to the book above if you’d like to read on. P. S. I have put the word “Brodhead” in bold in case you don’t have too much time on your hands and want to hone in on those specific passages. Farther down this post you will find links to some good resources. I especially enjoyed the articles by Vic Attardo and Doug Vitale. Enjoy! Perhaps, after reading all this you will want to “Go, Fish!” And if you’ve already had the pleasure of fishing the Brodhead, by all means share your experiences in the Comment box below. Where can I enjoy trout fishing amid good scenery and good cheer without its necessitating a lengthy absence from the city? That is a question which frequently rises in the mind of the toilers in the busy centers of the East, and it is one becoming daily more difficult to answer. Yet there are still nearby trout streams where a creel of from fifteen to fifty, or even more, in favorable weather, might be made. One such locality, which for years local sportsmen have proven, lies within a four hours’ ride of either Philadelphia or New York. All that is necessary is to take the railroad, which conveys you to Cresco, in Monroe County, Pa., and a ride or drive of five miles through the Pocono Mountains will land you in the little village of Canadensis, in the valley of the Brodhead; and within the radius of a few miles on either side fully a dozen other unposted streams ripple along in their natural state, not boarded, bridged, dammed, or fenced by the hand of man, thanks to the naturally uncultivatable condition of the greater part of this paradise for trout fishers. The villagers of Canadensis do their trading and receive their mail at Cresco, and it is an easy matter to obtain excellent food and lodgings for a dollar a day at one of the many farmhouses dotting here and there the valleys, and a seat when needful in one of the several private conveyances running every day between the two villages. 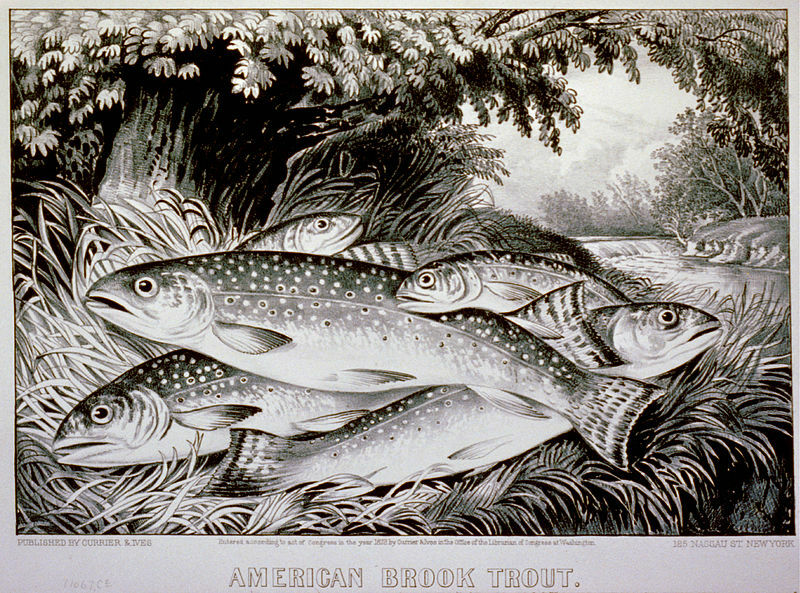 The open season for trout in Pennsylvania is from April 15th until July 15th [present-day regulations call for April-July], and there appears to be no particularly favored period during these three months, for the trout here afford sport equally well at all times, though they greatly vary in their tastes for the fly. 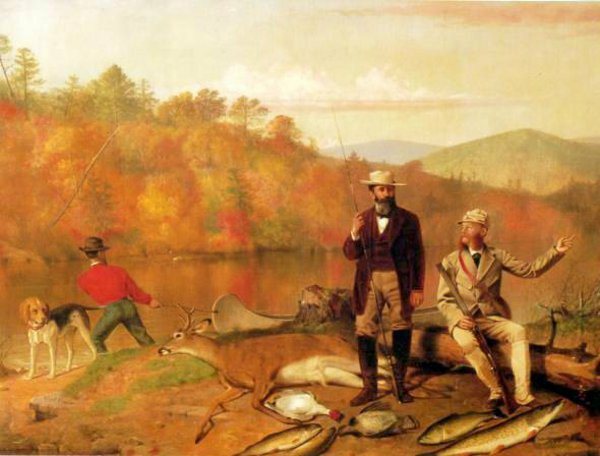 If the angler goes there in the early part of the open season, when the weather is cold, he should engage a room and take his meals at the farmhouse selected; but if the trip is made in the early part of June or any time after that, during the open season, camp life may be enjoyed with great comfort. 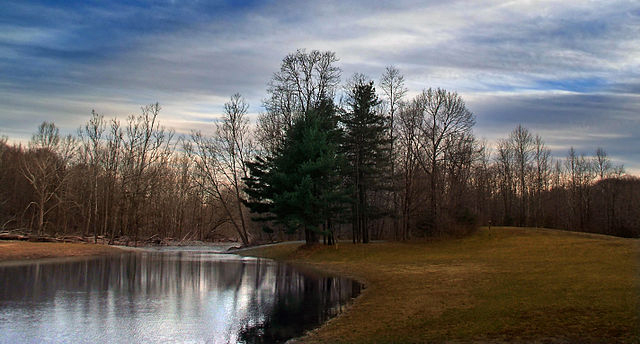 Two favorite waters within walking distance from any of the farmhouses in Canadensis are Stony Run and the Buckhill. The great Brodhead, a famous old water in the days of Thaddeus Norris, and noted then and now for its big trout, flows in the valley proper, within a stone’s throw of the farmhouse at which I engaged quarters. Spruce Cabin Run, a mile distant, is a charming stream, but the trout here are not very large beyond the deep pools at the foot of Spruce Falls and in the water flowing through Turner’s fields and woods above the falls. Any of these streams will afford plenty of sport, but if one wishes to visit a still more wild, romantic, and beautiful trout water, he has only to walk a little farther or take a buckboard wagon and ride to the mighty Bushkill, a stream that must not be confounded with the Buckhill, which lies in an opposite direction from Canadensis. The Bushkill is the wildest stream in the region, and is fished less than any of the others named, one reason being that there are plenty of trout in the waters of Canadensis which can be fished without the Angler going so far. For those who like to camp, the Bushkill is the proper locality. I spent a day there with friends one season, and we caught in less than two hours, in the liveliest possible manner, all the trout five of us could eat throughout the day, and four dozen extra large ones which we took home to send to friends in the city. 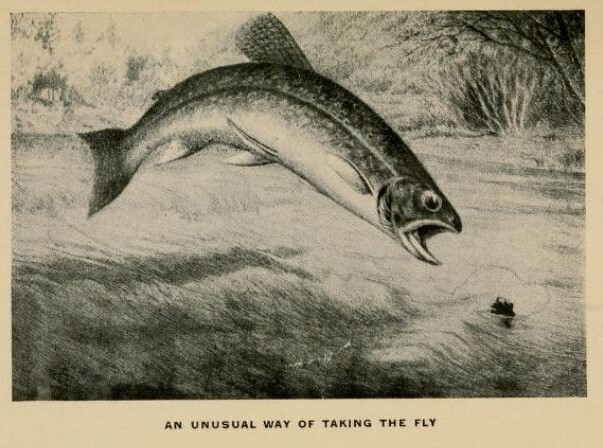 “The trout in the Bushkill,” remarked one of my companions, “are so wild that they’re tame”–an expression based upon the greediness and utter disregard of the enemy with which fontinalis, in his unfamiliarity with man, took the fly. I remember having a number of rises within two feet of my legs as I was taking in my line for a front toss. 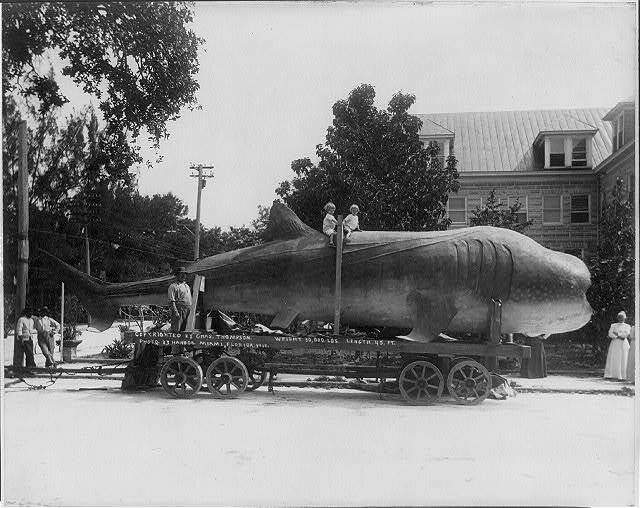 I know men who have many times traveled a thousand miles from New York on an angling trip to different famous waters who have not found either the sport or the scenery to be enjoyed on the Bushkill. The lower Brodhead below the point at which this stream and Spruce Cabin Run come together is very beautiful. It is owned by a farmer who lives on its banks, and who has never been known to refuse Anglers permission to fish there when they asked for the privilege. There are four natural features in the scenery about Canadensis that are especially prized by the countrymen there–the Sand Spring, Buckhill Falls, Spruce Cabin Falls, and the Bushkill Falls. The Sand Spring is so called because grains of brilliant sand spring up with the water. This sand resembles a mixture of gold and silver dust; it forms in little clouds just under the water’s bubble and then settles down to form and rise again and again. This effect, with the rich colors of wild pink roses, tiny yellow watercups, blue lilies, and three shades of green in the cresses and deer tongue that grow all about, produces a pretty picture. The spring is not over a foot in diameter, but the sand edges and the pool cover several feet. In drinking the water, strange to say, one does not take any sand with it. Each of the falls is a picture of true wild scenery. Though some miles apart they may be here described in the same paragraph. Great trees have fallen over the water from the banks and lodged on huge projecting moss-covered rocks; they are additional obstacles to the rushing, roaring, down-pouring water, which flows through and over them like melted silver. This against the dark background of the mountain woods, the blue and snow-white of the heavens, the green of the rhododendron-lined banks, and the streams’ bottoms of all-colored stones creates a series of charming and ever-varying views. A half dozen trout, weighing from one to two pounds and a half, may always be seen about the huge rock at the point where the lower Brodhead and the Spruce Cabin Run come together, and hundreds may be seen in the stream below the Buckhill Falls. I do not know that fish may be actually seen in any other parts of the waters of Canadensis, but at these points the water is calm and the bottom smooth, and the specimens are plainly in view. Do not waste time on the “flock” lying about the big rock at Brodhead Point. The trout there will deceive you. I played with them a half day, and before I began work on them I felt certain I would have them in my creel in a half-hour’s time. They are a pack of pampered idlers who do not have to move a fin to feed. All the trout food comes rushing down both streams from behind these big rocks into the silent water and floats right up to the very noses of these gentlemen of leisure. If you have any practicing to do with the rod and fly do it here. These trout are very obliging; they will lie there all day and enjoy your casting all sorts of things at them. This is a good place to prove to yourself whether you are a patient fisherman or not. And now a few words about the proper tackle for mountain streams. Most anglers use rods that are too heavy and too long. During my first visit I used a rod of eight feet, four ounces, and I soon found that, while it was a nice weight, it was too long for real convenience, although there were rods used there nine and ten feet long. My rod was the lightest and one of the shortest ever seen in the valley. 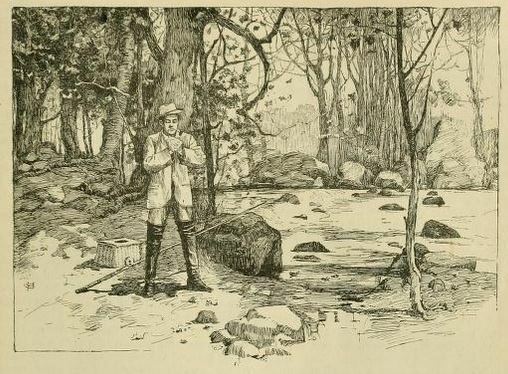 There are only a few open spots where long casts are necessary, and a long, ordinary-weight trout rod is of very little service compared with one of seven, seven and a half, or eight feet, four or three ounces, that can be handled well along the narrow, bush-lined, tree-branch-covered streams. The greater part of the fishing is done by sneaking along under cover of the rocks, logs, bushes, and the low-hanging branches, as casts are made in every little pool and eddy. I use a lancewood rod, but of course the higher-priced popular split bamboo is just as good. I shall not claim my rod’s material is the better of the two, as some men do when speaking of their tackle, but I am quite sure I shall never say the split bamboo is more than its equal. I do not advise as to the material; I speak only of the weight and length. Let every man use his choice, but I seriously advise him to avoid the cheap-priced split bamboo rod. If split bamboo is the choice, let it be the work of a practical rod-maker. Any ordinary wood rod is better than the four-dollar split bamboo affair. The leader should be of single gut, but the length should be a trifle more than is commonly used. Twelve feet is my favorite amount. The reel should be the lightest common click reel; the creel, a willow one that sells for a dollar in the stores; and the flies–here’s the rub–must be the smallest and finest in the market. 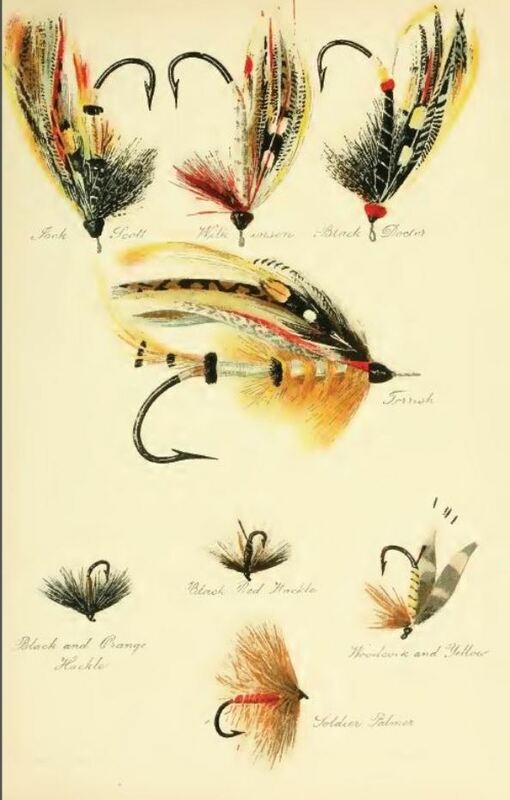 Large, cheap, coarse flies will never do for Eastern waters, and you must not fail to secure your list of the proper kind, as well as all your outfit, before you start on your trip. The only decent thing on sale in the village stores is tobacco. When you buy your flies buy lots of them, for, be you a tyro or practical Angler, you will lose them easier on these streams than you imagine. Yes, you must be very careful about the selection of your flies. They must be small and finely made, high-priced goods. I wish I might tell you who to have make them, but I dare not, lest I be charged with advertising a particular house. Regarding the patterns touse, I will say that none are more killing than the general list, if they are the best made and used according to the old rule all are familiar with–dark colors on cold days and bright ones on warm days. The later the season the louder the fly–that is, when the season closes during hot weather, as it does in Canadensis. My favorite time here is from June 15th to July 15th, the closing day, but any time after the first two weeks of the open season is very charming. I avoid the first week or two because the weather is then cold and the trout are more fond of natural bait than the artificial fly. Men take hundreds of fish early in the season with worms and minnows. I never wear rubber boots to wade in. An old pair of heavy-soled shoes with spikes in their bottoms, and small slits cut in the sides to let the water in and out, and a pair of heavy woolen socks comprise my wading footwear. The slits must not be large enough to let in coarse sand and pebbles, but I find it absolutely necessary to have a slight opening, for if there be no means for the water to run freely in and out, the shoes fill from the tops and become heavy. Rubber boots are too hot for my feet and legs, while the water is never too cold. I have often had wet feet all day, and have never yet experienced any ill effects from it. I never use a staff in wading, but I should, for here in some places it is very hard to wade. I have often fallen down in water up to my waist, overbalanced by the heavy current, where the bottoms were rough, with sharp, slimy stones. If you carry a staff, follow the custom of the old Anglers and tie it to your body with a string to keep it out of the way and allow your hands to be as free as possible for a strike. Your landing-net should be a small one, minus any metal, with a foot and a half handle, and a string tied to a front button on your garment should allow it to be slung over your shoulder onto your back when not in use. 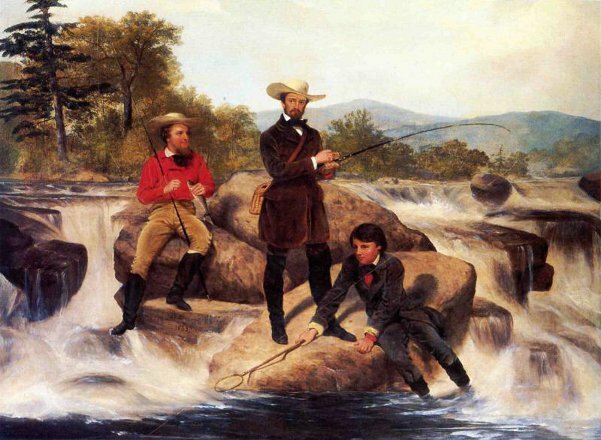 Of course, these little points about the use of different things are all familiar to the Angler with but the slightest experience, and will appear to him neither instructive nor interesting, but we must, as gentle Anglers, give a thought or two to the earnest tyro, for we were young once ourselves. I always carry two fly-books with me; one big fellow with the general fly stock in, which is kept at the farmhouse, and a little one holding two dozen flies and a dozen leaders, which I carry on the stream. A string tied to this, too, will prevent the unpleasantness of having it fall in the water and glide away from you. I even tie a string to my pipe and knife. The outing hat is an important thing to me. Mine is always a soft brown or gray felt, and I use it to sit on in damp and hard places fifty times a day. 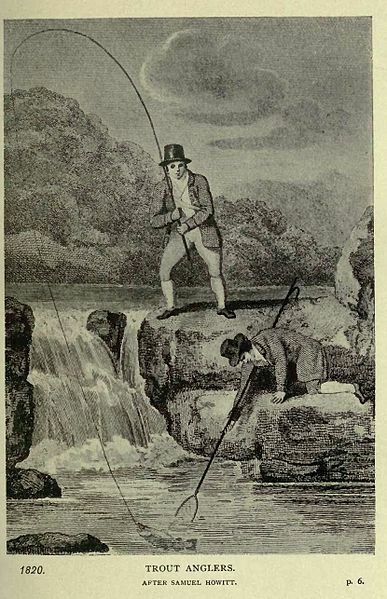 “Dressing a Fly” circa 1817 from Fishing and Shooting by Sydney Buxton (1902), p. 92.